Many people contact me each month to help them locate a new or pre-owned vehicle at the right price. All too often, people will tell me that they have to own a Toyota or Honda instead of some of the other brands in the marketplace because of the perception that they are better vehicles. Sometimes they are better vehicles and I do like the Honda and Toyota brands. I’m also a fan of many other vehicles in the marketplace that are often overlooked by consumers, which quite frankly are a much better value. I know because I spend tens of thousands of dollars fixing cars each year and I’ve seen problems with every major manufacturer, but usually care and maintenance is the problem and not the vehicle itself. The media has definitely shown favoritism to these two brands over the years, but since America has now invested billions into American car companies we’re starting to see more press about the challenges facing all the major manufacturers in building modern vehicles. After Toyota had a major recall this month, Honda is now recalling over a half a million of their small cars based on a faulty window switch that was shown to be a safety hazard. It’s not that these vehicles are bad, as the article points out, but it is a fact that there are thousands of small parts that go into building today’s automobile, from oxygen sensors to air bag sensors. I think that people forget this fact all too often. As we move into more sophisticated vehicles there are more opportunities for parts to malfunction and for a vehicle to have problems, such as a gas peddle or a window switch. There is no perfect automobile, but if you can reduce the amount of chances for a problem to take place by checking for recalls on your vehicle and having parts replaced it will last you much longer with less likely opportunities for failure, regardless of the specific brand. Here’s an article detailing this latest recall for Honda. WASHINGTON/TOKYO – Honda Motor Co. said it would recall a total of 646,000 units of its Fit/Jazz and City models, including 140,000 in the United States, because of a faulty window switch, after a child died when fire broke out in a car last year. The announcement came as investors, suppliers and consumers weighed the impact of an unprecedented halt in U.S. production by Toyota, the world’s No. 1 automaker. Honda’s move, as well as Toyota’s recall due to problems with unintended and dangerous acceleration, come at a bad time for the industry as it struggles to lure buyers back to showrooms after a sales slump that helped drag U.S. rivals General Motors and Chrysler into bankruptcy. Toyota this week suspended North American sales and production of eight models including its best-selling Camry after regulatory pressure, and widened the recall to China and Europe. A Toyota spokeswoman said the company was still checking on whether any vehicles are affected in Latin America, the Middle East and Africa. Japan’s largest company, studied for its devotion to quality, could recall about 8 million vehicles in total — more than the number of cars and trucks it sold worldwide in 2009. In Tokyo, some worried about the knock-on effects to Japan’s image and economy. Honda’s recall added to concerns that the safety-conscious image of Japanese manufacturers would be threatened. “The Japanese have built their image on reliability, the fact that they make bullet-proof vehicles,” said IHS Global Insight analyst Carlos Da Silva. I’ve had a number of clients calling and asking me about the Toyota recall that’s taking place. 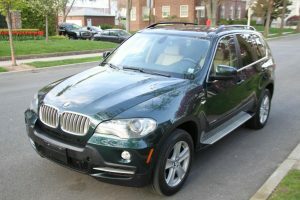 Following is an article that I’m posting here at CoolCarGuy.com that has been floating around the dealerships the last day. Hopefully, you’ll find it informative and I’m sure Toyota will get it figured out. TORRANCE, Calif., January 26, 2010 – – Toyota Motor Sales (TMS), U.S.A., Inc., today announced that it is instructing Toyota dealers to temporarily suspend sales of eight models involved in the recall for sticking accelerator pedal, announced on January 21, 2010. No Lexus Division or Scion vehicles are affected by these actions. Also not affected are Toyota Prius, Tacoma, Sienna, Venza, Solara, Yaris, 4Runner, FJ Cruiser, Land Cruiser and select Camry models, including all Camry hybrids, which will remain for sale. 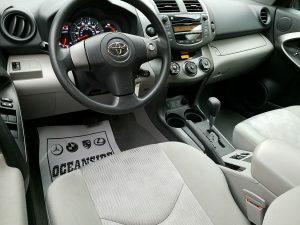 The sticking accelerator pedal recall is separate from the on-going recall of Toyota and Lexus vehicles to reduce the risk of pedal entrapment by incorrect or out of place accessory floor mats. Approximately 1.7 million Toyota Division vehicles are subject to both separate recall actions. Earlier today, I got an email from one of my sources at a Denver Toyota dealership about the new tax credits on hybrid vehicles. The breakdown is as follows according to his data. I’ll have to confirm this with the State of Colorado, but it’s pretty impressive for some of Toyota’s more popular Hybrids. I’m not sure what the availability of these vehicles is, but with gasoline creeping up over $2 a gallon again, since the Stock Market has been picking up again, we’re probably going to see more demand for hybrids in the coming months. I’m sure there are some incentives on some other brands. I’ll report on those as I get additional data, but in the meantime, if you’ve been thinking about a hybrid, the State of Colorado wants to assist you in getting one in your driveway. Toyota has been leading the way with their hybrid technology and I have a number of clients with these vehicles that love them. Let me know if you are interested in taking one out for a test drive. I have a dealership that traded for a 2004 Toyota Sienna today with around 42,500 miles. They don’t specialize in Toyota’s and asked me to help them sell it. – IT’S SOLD! It’s the AWD, LE, Light Blue, Gray Interior, Power Windows, Power Side Windows, Power Sliding Side Door, This price includes four NEW tires with 65,000 mile rating for the tires. 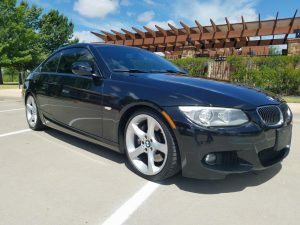 This vehicle is not going to last, so if you are interested and want to see it today, call me ASAP at 720-771-6269 and I’ll grab it and show it to you. 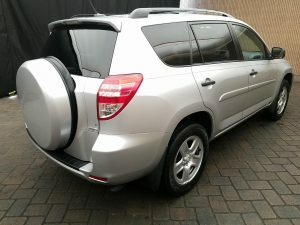 , for a quick sale, NADA retail book is $13,850 and you’re not going to steal a low mile AWD Sienna. It was just detailed and it’s ready to go. This van will probably be gone by tomorrow, so don’t wait on this one. Check out Edmunds for details on this ride. I’m back in Denver from a few days in Las Vegas with my lovely wife Becky and I am once again helping my clients find the right vehicle at the right price. I got an email today from a client who is looking for a 2002 – 2004 Yellow Corvette, manual transmission that I’m going to track down for him. 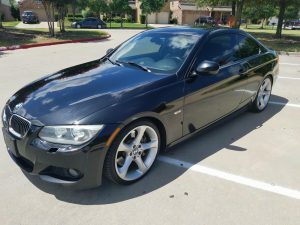 I am also looking for a 2003-2004 Infiniti G35, white with black interior and manual transmission as well, so if you have this vehicle give me a call and lets talk. There are some serious deals to be had right now in the automotive industry, both in the new and used markets. When you purchase a pre-owned vehicle you save thousands from the depreciation that has taken place compared to buying or leasing a new vehicle. I had one of my friends from a dealership down in Colorado Springs stop in to see me today and she told me about a Toyota 4Runner she is driving with 92,000 miles that looks like it has about 50,000 on it. Another friend of mine, sent me an email yesterday and said, “John, I have access to 384 vehicles right now looking for a home. See if you have any clients looking for a great deal because we need to move these fast and let me know.”. Needless to say, there are vehicles out there that you can get a deal on right now and if you’re looking for a specific vehicle I’m the guy to call. I have the networks and the resources to find you your car and most of my sources are not available to the general public. 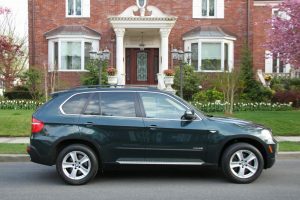 There are some vehicles that command a premium and you should recognize that depending on your situation. I had a guy who was looking for a low mile cargo van for his business for around $10,000 and I had a few that I could have got out of state for him and had them shipped to Denver, but he disappeared. Sometimes people call me and want to use my service and then they go in a different direction. No harm, no foul. However, I can tell you that cargo vans typically get trashed by the employees who are using them, so you have to be careful when you buy them and they generally mile the heck ouf out of them too. Proceed with caution if you’re buying one on your own! Finally, I have a very cool 2008 Toyota Tacoma on consignment that I’m amazed hasn’t disappeared yet. I put some photos of it in this article to check out and you can click here if you want to see the details. If the link doesn’t work it means it’s gone, but let me know if you’re interested in one like this and I’ll track it down for you. Earlier today, I had the opportunity to meet a very cool person who I hope will become a future client of mine. Her name is Christina Schulz and she’s a full-time financial planner and a part-time Independent Distributor with a Network Marketing company called Vemma. Christina and I met recently at the 24 Hour Fitness in Littleton when I went in to do a run and I decided to try a shot of this Vemma juice she was promoting. It’s a pretty cool product and when I met with her today, she gave me a 30 day supply and asked me to test it out for her. I personally take a number of nutritional supplements, especially now that I’m 40, and I had informed her that I was training for the San Diego Rock & Roll Marathon on June 1st and she said this product would be a good add on for my training program. It turns out that her husband is a runner and he’s going to be running in The Denver Marathon later this year. I ran that as a relay participant last year with Jim Reitz and some friends from JFR and we had a good friend Kerwyn Hawkins who completed the full marathon last year. By the way, it was freezing. Anyway, we got to talking about cars and I got such a kick out of her history of cars she owned that I had to share the details on CoolCarGuy.com and see if any of these vehicles ring a bell with our Cool Car Fans. By the way, I currently have about 3,500 unique visitors a month reading The Cool Car Guy site, so if you’re a frequent reader – you’re not alone. Okay, so check this list out. Okay, so as she put her list together I was cracking up that she was still driving the 1993 Camry with 186,576 miles, but maybe it was so funny to me because another financial planner, who is a client of mine, and who I had on The Cool Car Guy Show not long ago, Adam Makkai A Fish Called Wanda ipod , always drives his cars until they have around 200,000 miles on them as well. It must be part of the financial planner training system to be sure and see how many miles a financial consultant can get out of a vehicle until they have to get rid of it. One thing is for sure, they both definitely get the miles out of their vehicles! If you or someone you know is interested in trying her product Vemma, like I’m doing right now, be sure and check out Christina’s Vemma site for more information. She told me that she has a number of people who are working the Vemma business with her and making a great second income and full-time income. My daughter Bianca and I both tried the product tonight and it tastes really good for a liquid nutritional product. In the meantime, I’ll keep you posted if I talk her into letting go of that 1993 Toyota Camry and upgrading to the modern age of total vehicle satisfaction. I see a low mile 2007 or 2008 Toyota Sienna in her future, pre-owned of course for maximum cost savings, maybe with leather seating? I had my friend from The Chamber of Commerce Castle Rock Leads Group Brent Cain, of Washington Mutual of Castle Rock Wamu.com Thumbsucker release . Brent talked about how he is driving a Toyota Prius and how much he loves his new vehicle, along with all the money on fuel he is saving. The Toyota Prius is without a doubt the most popular fuel efficient hybrid in the marketplace today. For some time, the average time that a Prius was on the lot of a dealership was just 10 days and Brent can attest to why they have been so popular. We also talked about Brent’s personal life and how he’s in a band called MoTrucker Rocks. Be sure and tune into the show on Thursday from 10AM – 11AM MST on CastleRockRadio.com. yesterday on CastleRockRadio.com I had my friend and client Adam Makkai, of Mutual Service Corporation. Adam is very conservative when it comes to cars and he gets more mileage out of a vehicle than anyone I know. His Honda Accord that he traded in with me had 200,000 miles on it and his Toyota Solara that he replaced it with already has almost 100,000 miles. Of course, for Adam that’s just getting broken in. We also talked about automotive news and the state of the economy. Adam explained how many people make the mistake of having car payments that don’t fit their budget, along with not paying off debt before adding credit cards and other expenses. Adam consults with people on how to invest in their future and how by leveraging real assets someone can use their appreciating assets to fund nice things like cool cars without giving up their lifestyle or the assets themselves. He definitely knows his stuff when it comes to maximizing a return on investment and how to get the most bang for the buck when it comes to vehicles. It was great having Adam on the show and if you want to reach him, you can find him by clicking on his name Adam Makkai and send him an email. Be sure and tune into the show tomorrow from 10AM – 11AM MST on CastleRockRadio.com. On The Cool Car Guy Show last Thursday CastleRockRadio.com I had Mr. John Sanders from Sanders Enterprises Information Technology Management Consulting Life Stinks movie full as a special guest on the show. John shared with our listeners some of the vehicles he has owned over the years, he also talked about his current vehicles. John gave us his opinion on the Honda Pilot that he drives compared to the Toyota Sequoia that his wife drives and he said that he things the Pilot is a much better value for the money. He claims that he gets 28 mpg in the Pilot and nowhere near that in the Sequoia. The Toyota is much more money, but not as much value. John also talked about how he worked with a number of automobile manufacturers over the years and gave us some of the inside scoop of his take on the automobile industry. 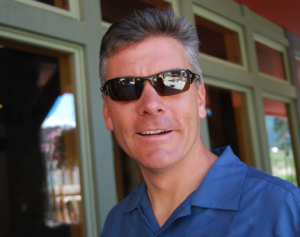 We will have to see if we can get John back on the show again down the road to talk more about the automotive industry. It was a great show and if you’re thinking Honda or Toyota, according to John, it’s Honda all the way.